1 What’s the common alert schema? 2 How does it help me? 3 How is this going to impact me? 4 Why should I switch over from my existing integrations? 5 How do I get this new schema? The typical workflow we hear from customers – both ITOps and DevOps teams – is that alerts go to the appropriate team (on-call individual) based on some metadata such as subscription ID, resource groups, and more. 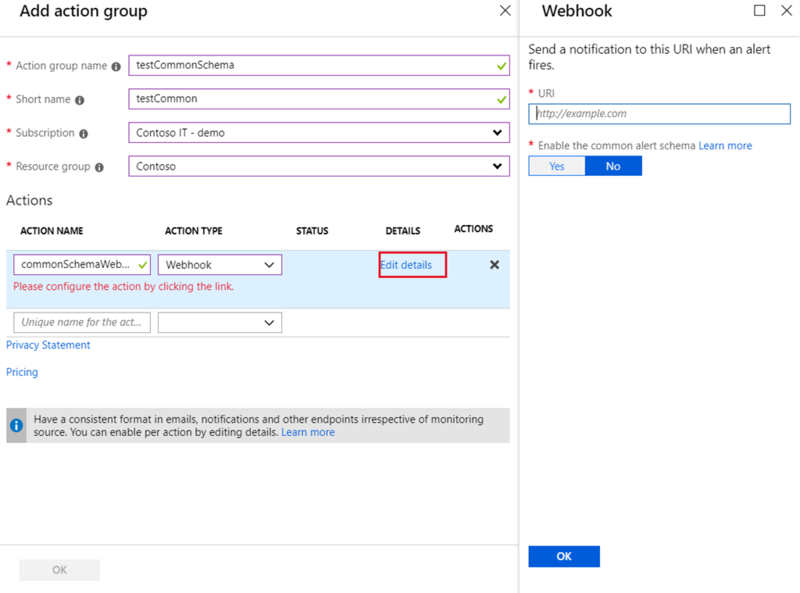 The common alert schema makes this workflow more streamlined by providing a clear separation between the essential meta-data that is needed to route the alert, and the additional context that the responsible team (or individual) needs to debug and fix the issue.